Most people experiencing a thyroid disorder also suffer from overworked adrenals. Yet, most medical physicians and endocrinologists will not assess your adrenal glands. Upon suspicion of an adrenal gland problem, I recommend an adrenal function saliva test. This test involves taking four saliva samples at various times in the day. This can help evaluate the health your adrenal glands, and determine what type of support is required. Too much cortisol requires a different treatment protocol than low cortisol levels. 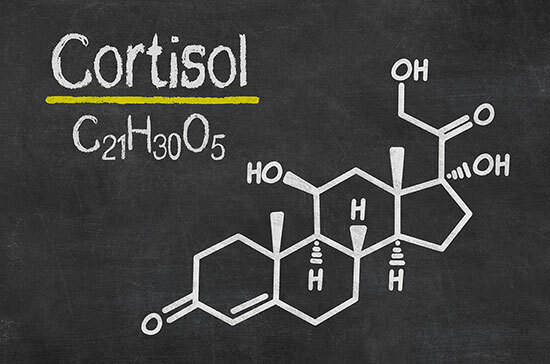 Cortisol levels are the main hormone used to assess the health of your adrenal glands. Four separate levels are measured at different times of the day to assess if you have a healthy circadian pattern. Cortisol levels should be highest in the morning, and lower slowly as your day progresses. This helps you have energy that will last throughout the day, and lower cortisol levels at the end of the day to help with a restful night’s sleep. When your adrenals are under-functioning, or burnt out, your morning cortisol levels will be low. When they are over-functioning your mid-day and evening levels are often too high. Your body responds to chronic stress (physical or emotional) by raising cortisol. Over time this will weaken your adrenal glands. Before your adrenals become fatigued they will over produce cortisol, which, over a long period of time will cause tissue break down. For example, too much cortisol can cause a break down of bone, muscle and the mucosa lining of your gastro intestinal tract. Cortisol is important to the health of your thyroid hormones, too little and your thyroid will not produce enough, too much and your thyroid hormones become less active. Do You Need an Adrenal Test? When you consult with a Chinese medicine doctor or a competent healthcare professional, they will use your symptoms to assess your health patterns. The more typical symptoms of overworked adrenal glands include sleep disturbances, sugar cravings, hair loss, mid section weight gain and feeling wired. These symptoms, along with the results of an adrenal function test, help determine the state of your adrenals. 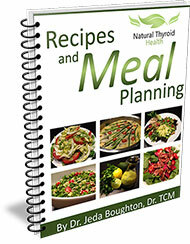 To help support your thyroid and adrenals I recommend developing strategies for managing stress. For example, get regular but not excessive exercise, get adequate sleep, take high quality nutritional supplements and eat a nutrient rich diet. If you’re unsure about your adrenal and thyroid health and are looking for a customized treatment plan be sure to consult an expert.